London, you’re so fast paced with zero eye contact where everyone is always in a rush to be on crowded trains and never stopping to just take a minute. But you know what, we all need to take a minute as often as we can. Whether it’s turning your phone off an hour before bed, taking the time to read on your morning commute or treating yourself to a full blown spa day, we all need to switch off once in a while. Most people don’t tend to associate London with being a place where you can get away from it all, but believe it or not, there are little pockets of tranquility all over the place that are aching to be found. I’m going to share a few of my favourite things to do around London when I need some time to self love and get my head back in the game! One way to recharge you batteries is to grab a few friends, a handful of sandwiches, maybe a beverage or two and a picnic blanket. 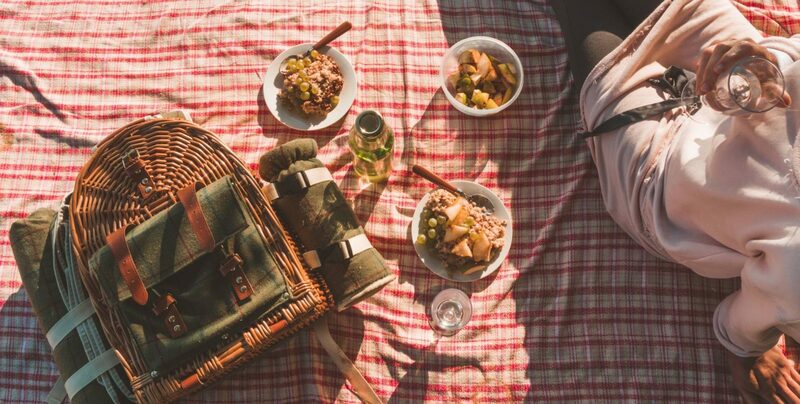 There are so many incredible parks around London that are pretty much made for having picnics in, such as Greenwich Park. Whilst I was doing my degree at Greenwich University, we would head into the local supermarket, grab some food and all head out to the park after long sessions of article writing in the Library. There’s just something about soaking up the sun, giggling with friends and an array of snacks that always leave me feeling really good after. So this might not sound like totally switching off, but heading somewhere like theBarbican Conservatory won’t even feel like you’re learning. There’s plenty of exotic fish and over 2,000 species of tropical plants and tree to read and learn about. Being surrounded by all of the plants and trees really does give you such a calming feeling. It’s only open on select Sunday’s so be sure to check opening times before you plan a trip there. There’s nothing more relaxing than a well deserved massage followed by some sauna time. Believe it or not, there’s so many fantastic spas around London where you check yourself into for an afternoon or two. It doesn’t have to be a pricey treat either as Groupon have so many deals (https://www.groupon.co.uk/vouchers/london/spa) on that will suit every pocket. Taking time to yourself to get your body feeling good can help so much with where you head space is. I’ve always given Yoga a good go whenever I’ve had the chance, but I’m just not very good at it! That doesn’t mean I left the classes I went to feel bad, I actually felt really good for trying something out of my comfort zone and relaxing for an hour. I know plenty of people that do lunch time yoga and they feel way more productive after! London really has so much to give when it comes to take time out that it’s so worth using it to it’s full advantage! Where do you head to when you need to switch off? "Where to Eat when Visiting Luxembourg City and Vianden, Luxembourg"